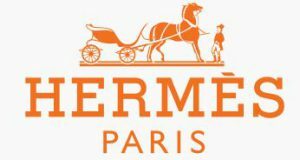 Contact Hermès: Find below customer service details of Hermès, including phone and email. Besides contact details, the page also offers an overview of the French fashion retailer and its services. Reach the Hermès customer service below for queries, complaints or feedback. Hermes is a French fashion retailer specialising in leather, luxury goods, apparel and accessories. Founded in 1837, the company operates from its headquarters in Paris and employs over 12,000 people worldwide. Also known as Hermes of Paris, the brand currently operates close to 307 stores around the world. Products manufactured and sold include leather goods, footwear, apparel, gloves, hats, jewellery, furniture, interior fabrics, perfumes and watches. Hermes products are available in 27 countries that include Argentina, Australia, Brazil, Canada, China, Germany, Greece, India, Italy, Mexico, Japan, Malaysia, Portugal, Russia, Singapore, Spain, Switzerland, Thailand, Turkey, UK and the US. To locate a Hermes store nearest to your address click here. Avoid the hassles of visiting a store by purchasing all your favourite products online. Almost the entire Hermes catalog is available to be shopped online. Payment for purchases can be made using Visa, MasterCard, American Express, Discover and JCB cards. Upon payment, customers also receive an email confirmation with details to track the order. All shipping is handled through FedEx. Hermes ships to all the 50 US states. Customers from other countries can shop online on the respective country-based website. As for shipping, customers have the option to shop online and pick the product at a store or opt for standard or overnight delivery. Freight charges depend on the product value and shipping type. Not happy with your purchase? Hermes allows customers to return and claim refund within 30 days of purchase. All products must be returned unused and in its original condition. Refunds are processed within 10 business days of receipt. Exchange of products can also be made at any of the Hermes stores. Products that can be shopped online include shirts, pants, shorts, t-shirts, suits, swim wear, sweaters, ties, scarves, mufflers, belts, shoes, jewelry, Apple Watch Hermes, perfumes, leather bags, small leather goods, among other products. For more information or queries on store locations, online shopping, refund/cancellation, warranty, or other queries, reach the Hermes customer service. I brought an “H” silver money clip that I bought from your store a couple of years ago. It got broken and I wanted to see if it can be fixed. I was told by your customer service person on the 3rd Floor NYC store that it broke because of wear and tear and there is nothing that can be done about it. I thought it was the most ridiculous answer for customer service. So, why did you NOT tell me when I bought it that if it breaks that you do NOT stand by your product? I have bought dozens of ties, jewelry and home stuff from your store. I will NEVER ever buy again from you and was speaking to a friend of mine who buys from you as well how bad your customer service is. The last time I went to your store to ask if a hole can be added to my belt, the same lady told me that you do NOT do that. What the hell is that for customer service? I just need another punch of hole in my belt. She told me to buy another one. I was so mad I don’t understand why I bothered to come back. I will avoid your store like a plague now. In fact, I will burn all my Hermes ties and just broke into pieces the Hermes ash tray I got in Paris. How dare you treat your customers like that. Thank you for your wonderful customer service! Today I visited your Athens store to return a silk scarf given to me as present. I entered the shop, nobody paid any attention, after five minutes a saleswoman with an arrogant look approched told her what I wanted opened the parcel and without looking at me said: it cannot be changed it was bought on December 18 more than a month. Today it is January 23!!! Not another word, not sorry but our policy is…etc. She folded the scarf and almost threw the parcel to my face. No wonder that the personel at your Athens shop has the reputation of the worst in the world. Just to add that my look is not of one that cannot spend money in an expensive shop….. I bought black oran with heels in Hermes Paris during our vacation. After Europe, we went to London. I submitted my tax free forms for tax refund in Heathrow airport to a costum officer. I already receive my tax refund from Gucci and Chanel store to my credit card account.Unfortunately, up to now, I did not receive my tax refund from Hermes Paris. I gave all the documents needed. Lastly, I bought Lindy bag in Belgium. No tax refund up to now. What happen? How can you help me? I’m in the Philippines right now. I was not well received today (May 23d) at the Hermes flagship store. The saleswoman, Audrey, did not offer a seat nor anything to drink even though I noticed other customers were wall taken care of. She told me that she had no Birkin bags in stock which I found hard to believe, especially since it was 11.30 AM. So I went to George V and bought one there ( 35cm taupe), the saleslady was charming. However, when I returned to my friends’ home, I noticed that the felt protection and the rain protection were missing so I had to go back. Not one word of apology. Then my fiance noticed that the invoice was printed upside down and would not be accepted as such by our US accountant because “it looked like a fake invoice from Morocco or the likes of it”. So I returned once more, and still not one word of apology. Not to mention the 60€ in taxi fare. The rudeness of the first saleslady and the lack of professionalism from the second shop turned what should have been a happy experience into a headache. I am shocked by the poor service and the snotty attitude. My wife bought a Hermes cotton scarf that was white with orange and brown stirrups on it in 1983 at the Hermes store in Paris France. I would like to surprise her and buy her another one. Any help in this matter will be appreciated!